Breathtaking Pool 2 finish, interesting weekend in general. Original LFS league travels for the third time to South City, this time for the 6th round of the season. Sixty-seven drivers will race for o good finish & a place on podium. B.Chalaris starting from 3rd was driving an easy & stable race until his moment came. On lap 14 he misjudges the entry of the chicane, hits to the inside wall & flips. Luckily he landed on his wheels so he managed to drive his way to the pits. Starting from 11th position now, manages to catch up his teammate V.Kazantzas & [KA] Braker. After two interesting laps B.Chalaris climbs to 9th position after passing both of them, where he stays until the finish of the race. V.Kazantzas has an interesting evening. After avoiding some accidents on lap 1, drove safe and clean & won some battles. 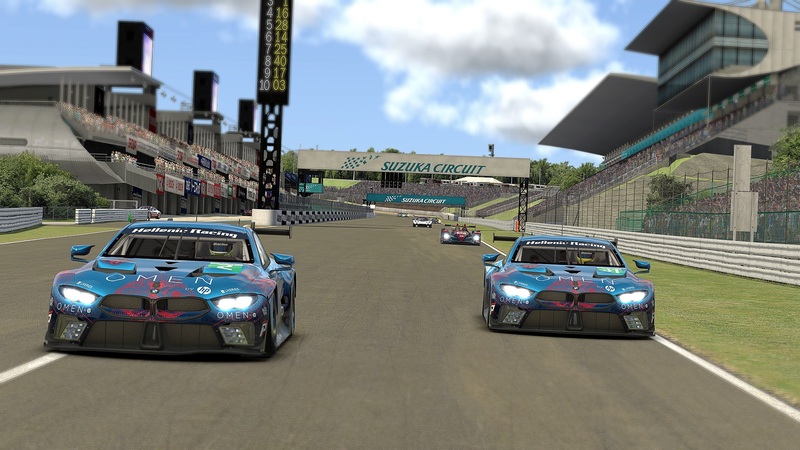 He climbed with his FOX on 6th position which lost from GTA Ady after a battle between them on laps 6-8. After pitting on lap 15 falls to 9th and six laps after, he gives his position to his teammate B.Chalariswho was faster at the last laps of the race. Surviving T1 crashes, C.Panoulas, climbs from 6th to 3rd position. One lap later, [ZIOM]mulas_jr hits the wall on chicane and spectates being unable to drive his car. 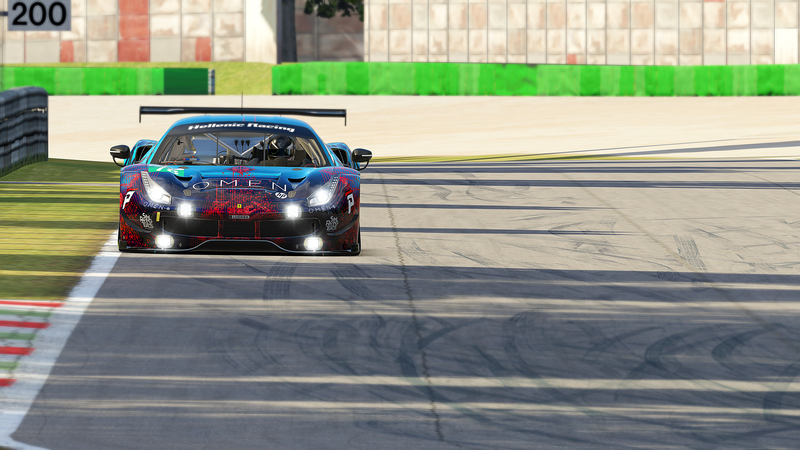 C.Panoulas finds himself as leader of the race on lap 9 taking advantage of the pitstops of the drivers in front of him. He decides to pit on lap 9 and drops to 5th position which holds until lap 20. The ending of lap 22 found Panoulas and HomeRunOlm fighting for second place, a battle that last until the end of the race. On the final lap, exiting the last turn, HomeRunOlm being on C.Panoulas’ slipstream makes his move just 400 metres before finish line & manages to finish ahead of him just for one hundrenth of second. Homerunolm had a better pace and was breathing down my neck for the whole race. I had a pitiful exit out of the twisted section in the final lap, misjudged the situation and took a way too defensive line. 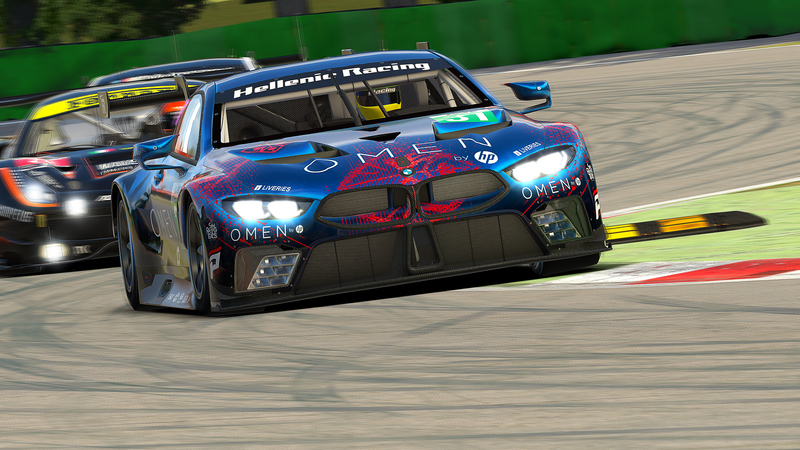 That lead to a bad exit out of the last corner and gave Homerunolm just enough advantage to take the second place. Nevertheless i enjoyed the race, and it was a very well deserved 2nd place for him. P.Georgiou starting from 10th position on Pool3 managed to climb to 6th after winning some battles & avoiding the worst on the first turn of the race. His strategy is to pit late in the race, which made him go up to 3rd place on lap 22 and 3 laps later to 1st place. Too bad the podium didn’t come this time, after pitting on last lap of the race P.Georgiou fell to 5th position where he finished. Next StoryHellenic Racing team celebrates 2 years of racing!